When your Fort Bend County home is affected by fire or water damage, SERVPRO of West Fort Bend County is your local leader with the expertise and equipment to quickly respond. We guarantee to arrive on site within 4 hours of your call because a timely response reduces overall dry time and secondary damage to your home. Our highly trained technicians use industry specific equipment and will keep you informed by providing daily updates on the drying process. We also utilize an industry leading proprietary data management software that allows us to validate that your property has been thoroughly dried. Give us a call at (281) 342-5326 and let us show you how we can help make your fire or water damage it "Like it never even happened." We live and work in this community too; we might even be neighbors. 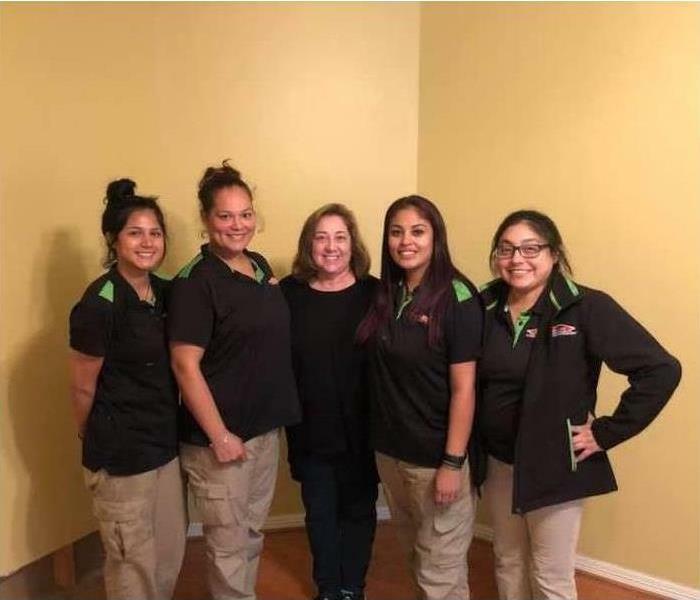 As a locally owned and operated business, SERVPRO of West Fort Bend County is close by and ready to respond to your cleaning or restoration needs. We are proud to be an active member of the Dewalt, TX community and want to do our part to make our community the best it can be.